Performances bedside and at end of life for hospital patients. 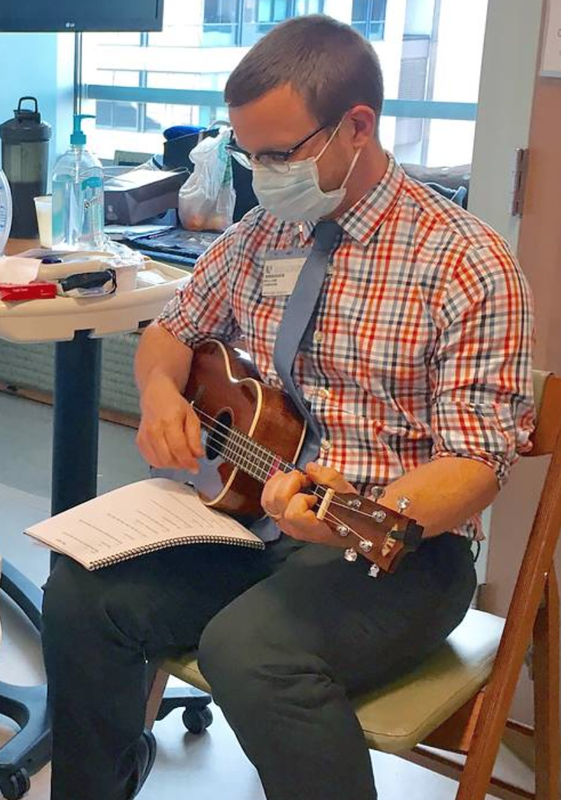 Teaching ukulele and guitar bedside to patients. Teaching group ukulele lessons at the Duke University Hospital Williams Inpatient Psychiatric Unit. Performing classical guitar in the Duke Transitional Care Nursery for infant patients. Scheduling and managing 65 hours per week of music in Duke Hospital. Coordinating a team of professional musicians who perform on units and at bedside for patients. Coordinating Duke students & community volunteers who perform music in public spaces throughout the hospital campus. Click to read article about playing piano at Duke Hospital. Click to read about performing music with patients bedside.